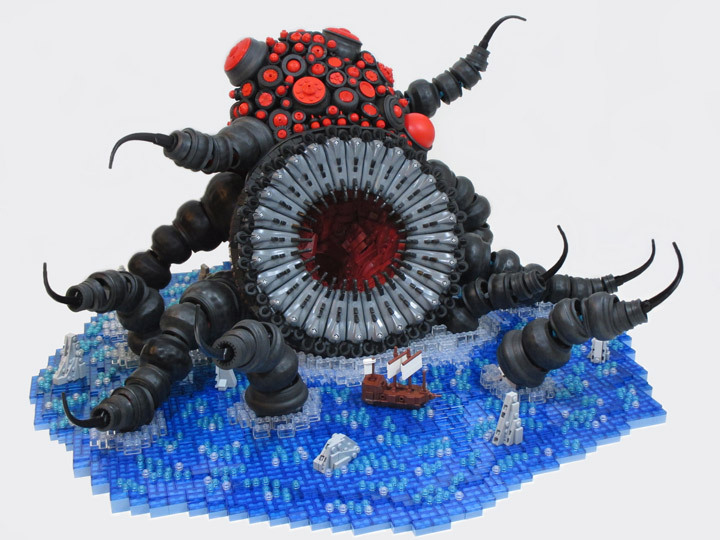 Lovecraftian Horrors are something you do not see so much in Lego. There has been a rise in their interest and Lego has even tried creating their own (Doctor Strange’s Sanctum Sanctorum – 76060). 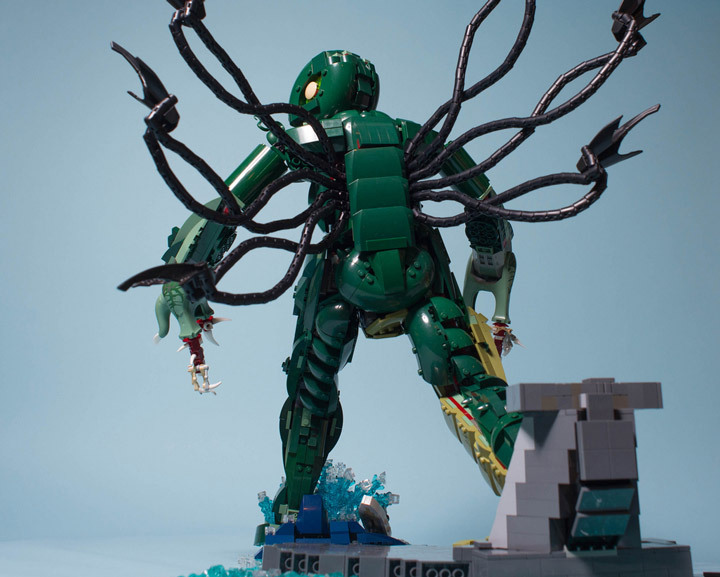 Here is Micah Beideman’s horrific Lego monster, titled Tan’thu: The Ancient Entity. 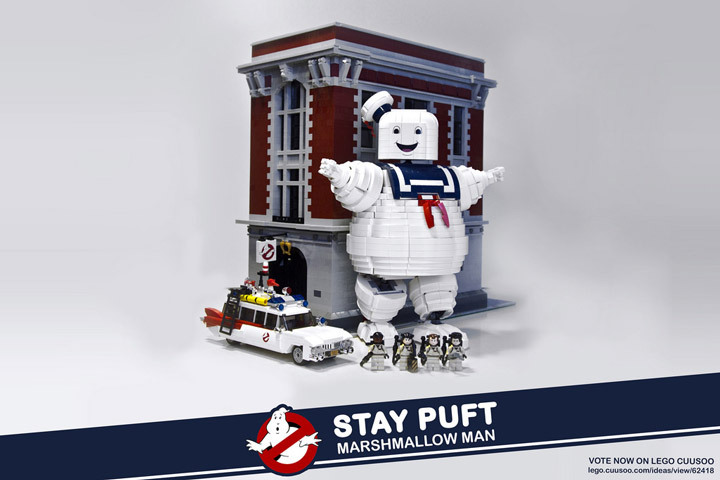 This MOC does a great job of creating the bulging and bulbous body. 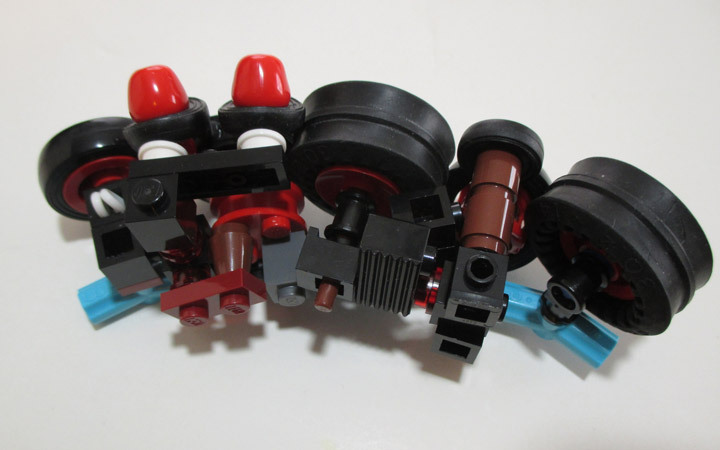 The eyes and tentacles display a lot of “inside-out” Lego tires. A somewhat popular technique in MOCs these days. The gaping maw is technically impressive. The repetition of elements works extremely well. And, by including a ship (at the center of the display) acting as a reference the humongous size of this Entity is presented. If you were wondering exactly what was going on behind the scenes to create this beast. Check out the assembly of some of the eyes below. There are over 70 eyes that needed to be built. 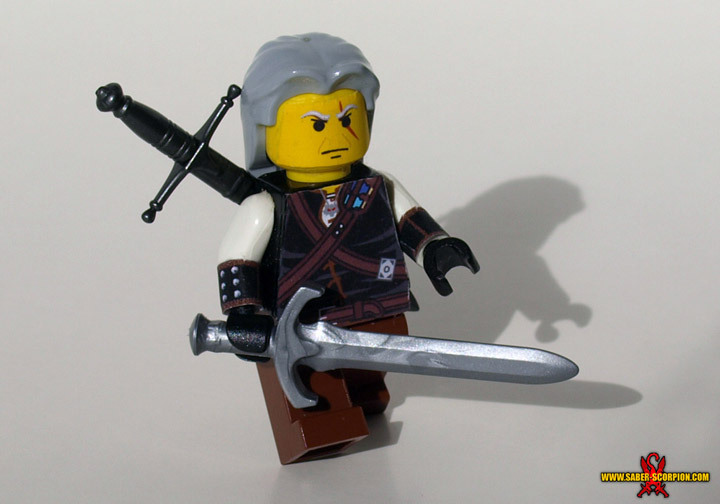 The Lego Witcher: Geralt of Rivia, the White Wolf, Gwynbleidd, the Butcher of Blaviken. 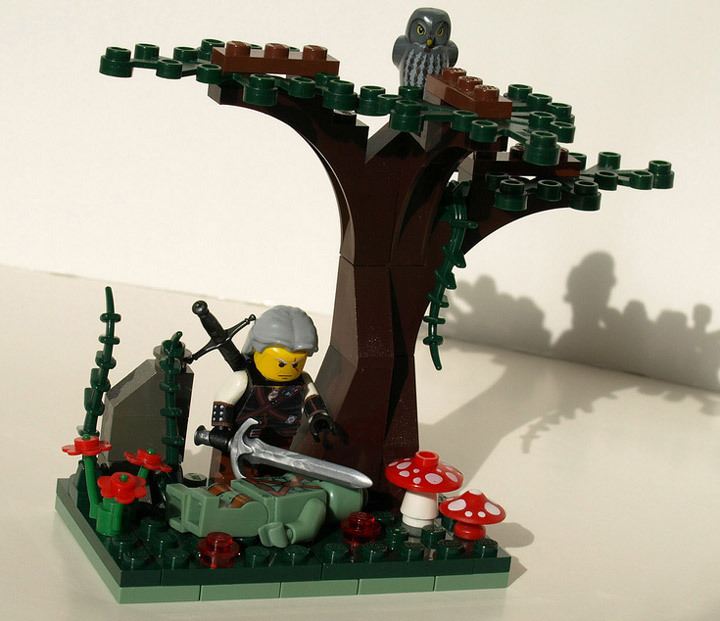 Now that the video game Witcher 3: Wild Hunt is out, there is a huge demand for custom Lego creations. The Witcher universe is a tough and gritty place. With no clear good or bad resolutions. The protaganist is Geralt of Rivia. A Witcher, who spends his days hunting down monsters, and/or friends. This custom Lego Witcher Minifigure is the creation of Justin Stebbins. Who made a small swamp vignette for Geralt, including a (dead?) monster. Ready to be picked clean of any useful items. 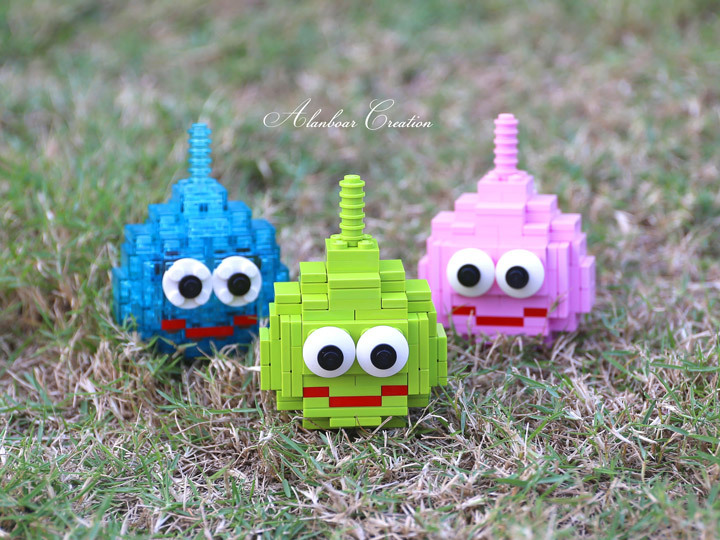 The Dragon Quest Slime (スライム) is one of the cutest video game monsters, so it only makes sense that it is also one of the cutest Lego monsters too. These little mobs are the creation of alanboar. They are all great, but the trans-blue one is perfect. The cartoony eyes and dopey smile have been faithfully recreated. 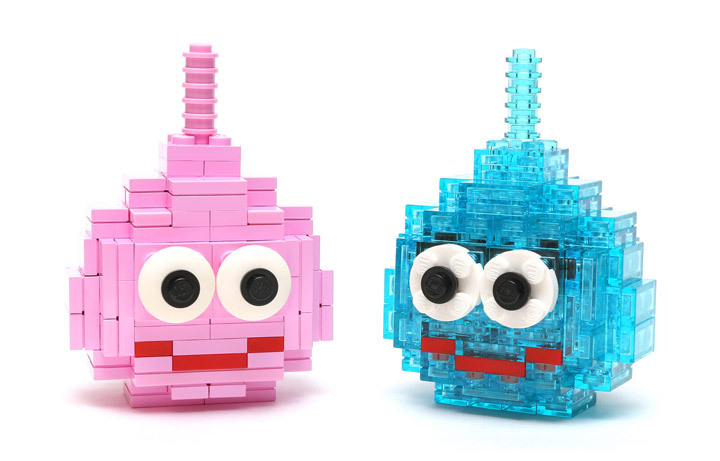 Imagine a whole army of these Lego slimes. If you look hard enough you might even find a metal slime! 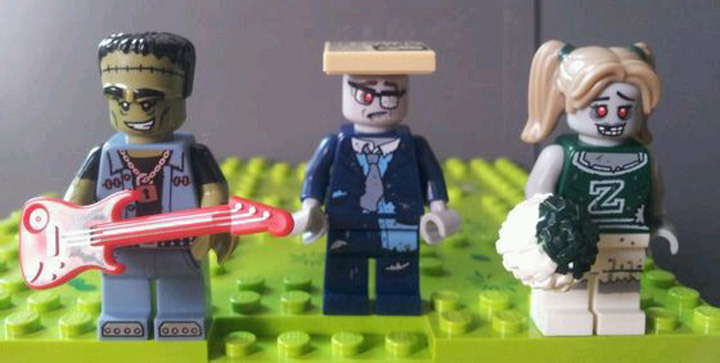 Lego Collectible Minifigures Series 14 (71010) Leaked Images! 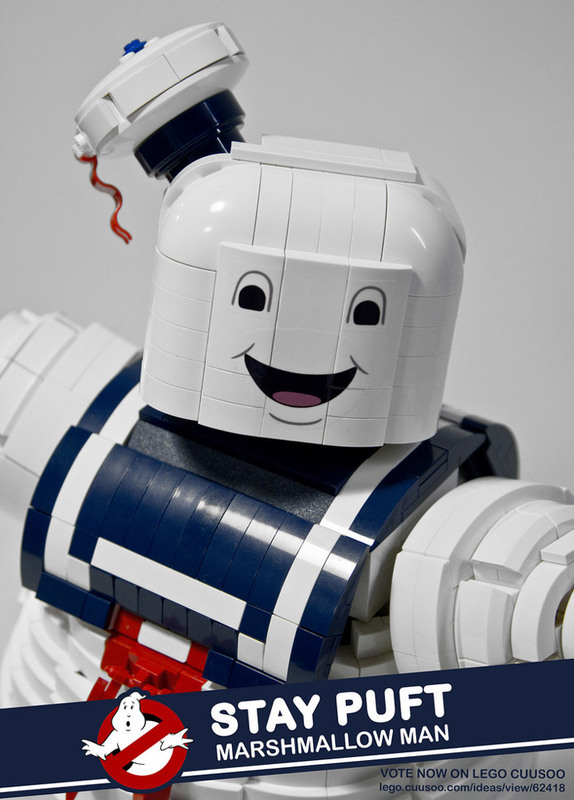 Lego is going strong with their Collectible Minifigures theme. The recent Series 13 has proven to be extremely hard to find, with most retailers sold out long ago. 2015 is going to be another weird year for this theme. The next release will be the Simpsons Series 2 (a bunch of early production images were leaked). After that the official Series 14 will be released in the late summer or early fall. Breaking with the normal formula this series will be completely themed for Halloween. There will be 16 various monster and horror themed Minifigs in this release, some of them will even feature some extremely cool new molds. So far 11 of them have been leaked, with the other 5 still hidden away somewhere. There is the (80s?) Frankenstein, Zombie Office Worker, Zombie Cheerleader, the Tigeress (a female tiger), a Mad Scientist, a Werewolf named Kel, a Zombie Pirate Captain, a Plant Man, a Witch and her Black Cat, a Vampire (actually a Vampiress), and a Skeleton Costume Man. 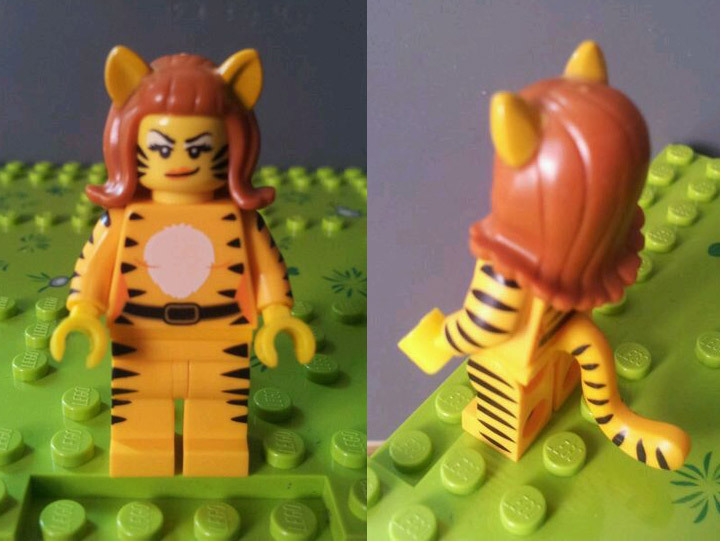 The Tigeress might be one of the most popular of Minifigures, coming with one of those new Minifig tails, and a neat 1960ish hair piece with ears. The other stand out is the crazy Mad Scientist. 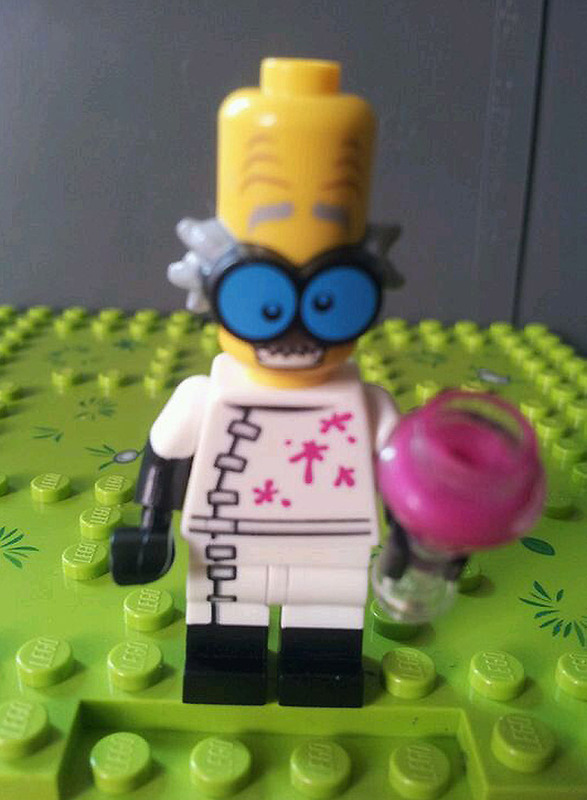 This is the first Minifigure to come with an elongated head. This is a super cool piece but most likely it is attached to the glasses/hair. Making it a little less interesting. 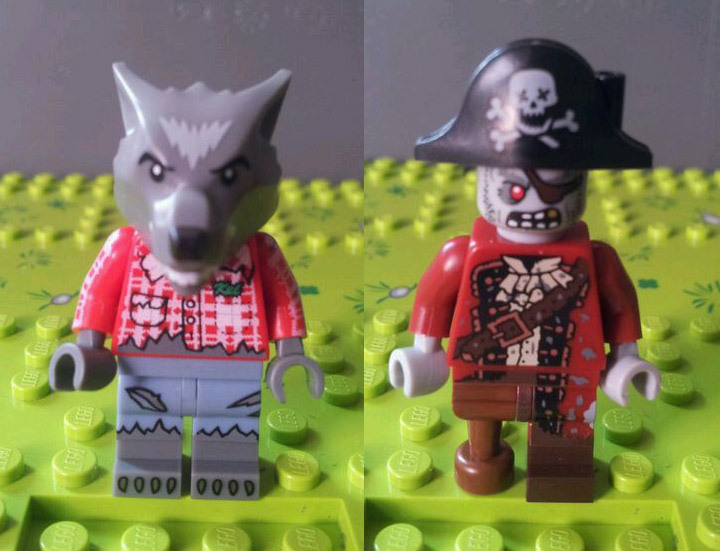 The Werewolf is looking pretty familiar (Monster Fighters) and the Undead Pirate has some awesome printing. Check out the skull and crossbones, this one is looking extra dead. 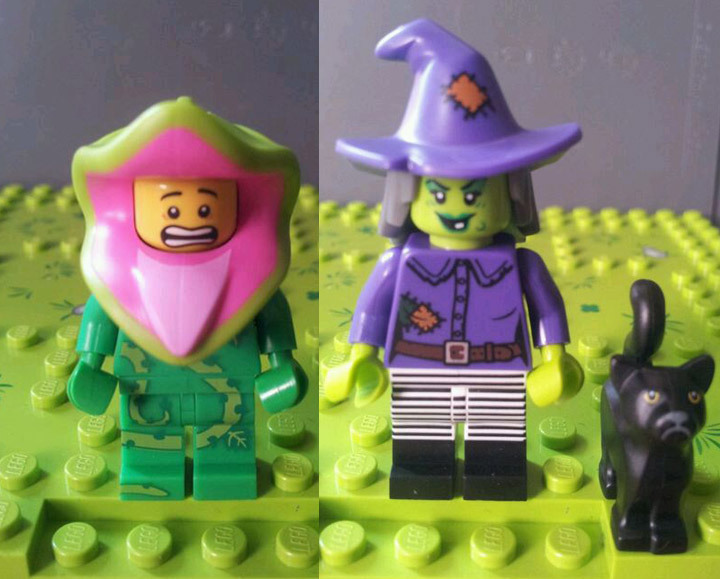 The Plant Guy is maybe the least interesting figure, and the Witch represents a pretty popular Halloween style. 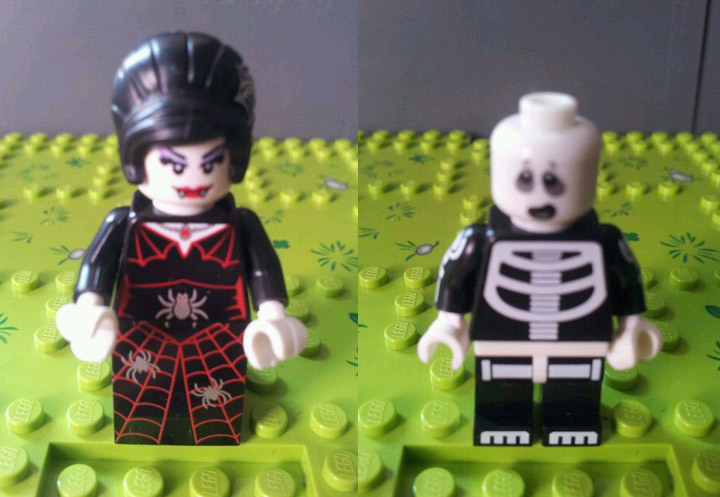 The Vampiress is looking deadly, and the plainish Skeleton Guy is pretty charming. Lego Scooby Dooby Doo, Where Are You? If there was one theme I was not expecting to hear rumors that Lego would produce, its Scooby Doo. It seems that Lego has been working on a spooky theme, and now its seems an official Lego Scooby Doo theme is the top contender for this release. This new theme would be hitting shelves around May or June of 2015, and will consist of 4 sets. It seems that the iconic Mystery Van, a Haunted House, and two unknown sets are in the works. 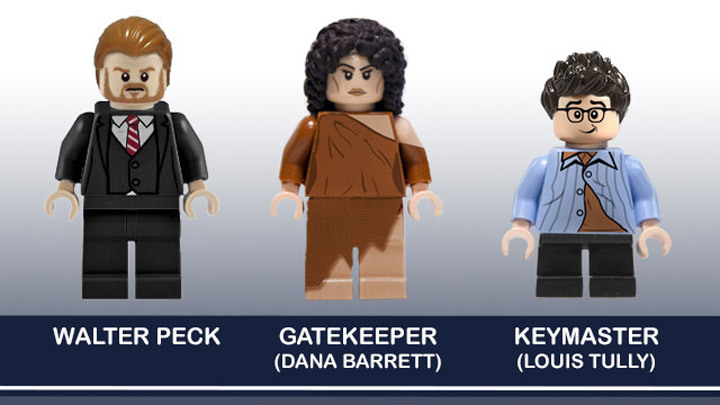 With the whole gang represented in Minifigure form. Fred, Shaggy, Scooby-Doo, Daphne, and Velma. Also expect to see a few of the monsters represented. 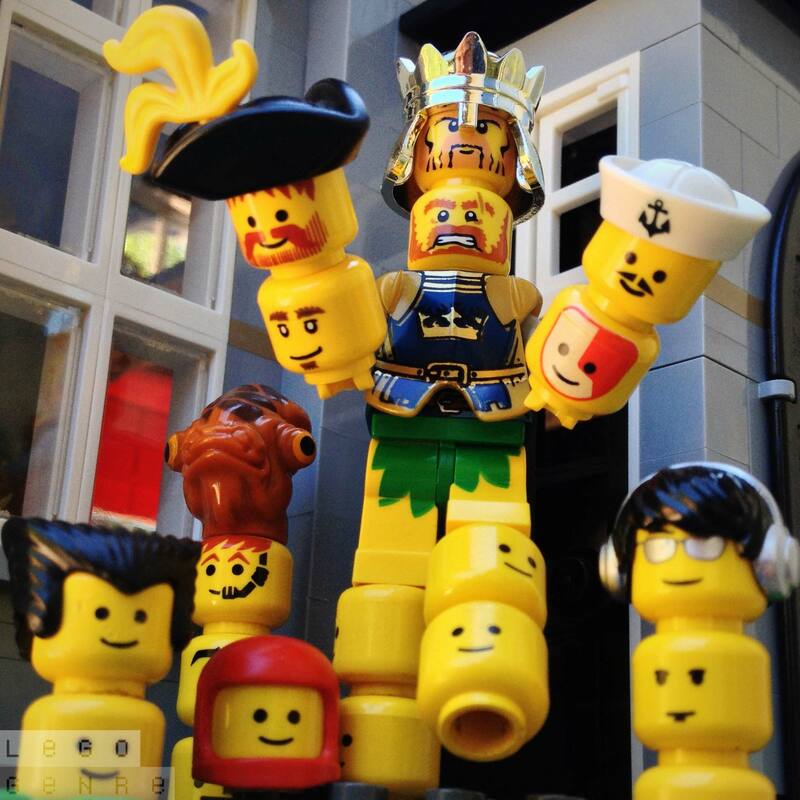 I wonder if they will be regular Minifigures wearing costumes? Because that would be fun. 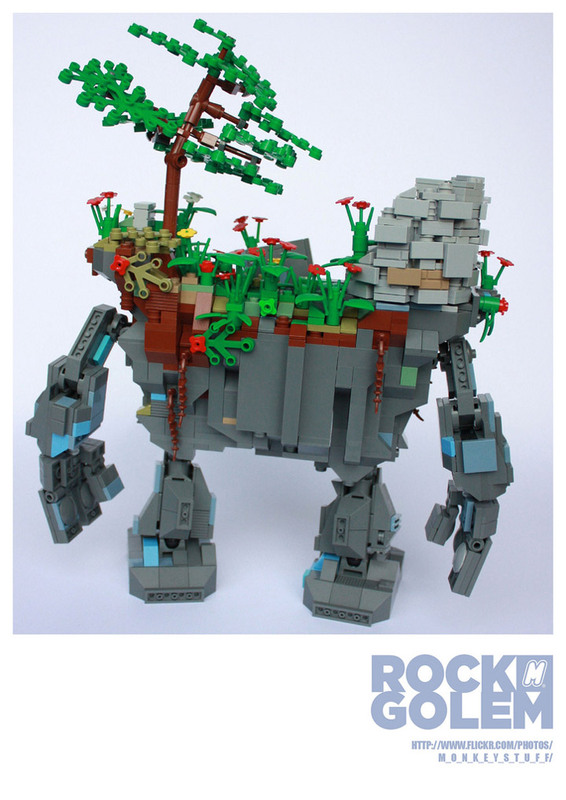 This Rock Golem makes a great Lego MOC, full of personality and character. 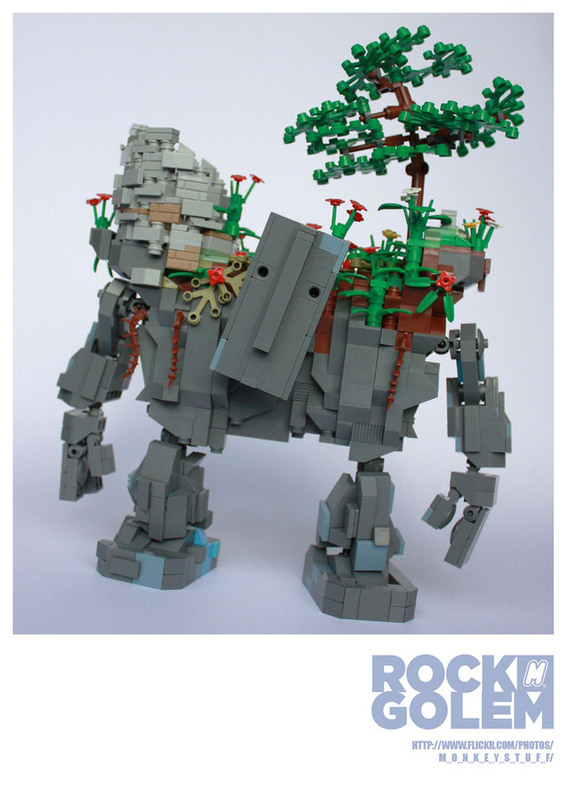 This Golem looks like it would be at home in a Hayao Miyazaki film, or in the world of the Neverending Story . The simple design for the face is great and breaks up the more detailed body. It is also interesting to see blue colors used in the rock body, something you don’t see everyday. The Madness from the Sea. 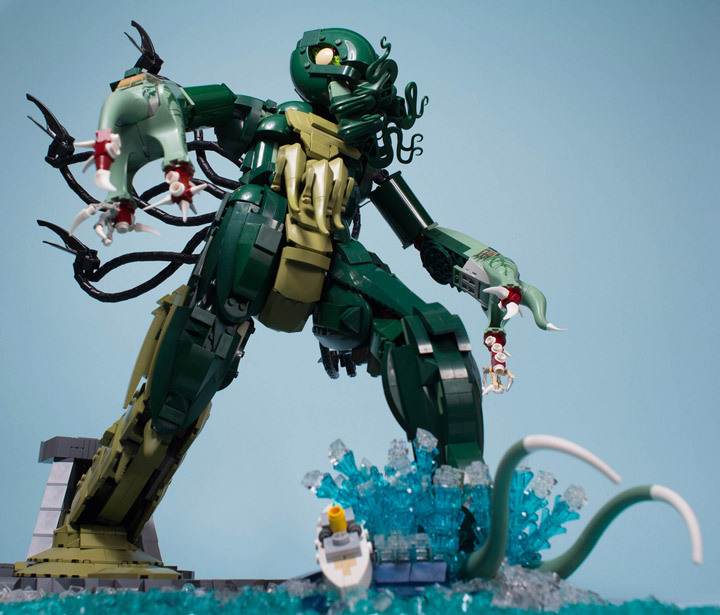 The Great Cthulhu in Lego. 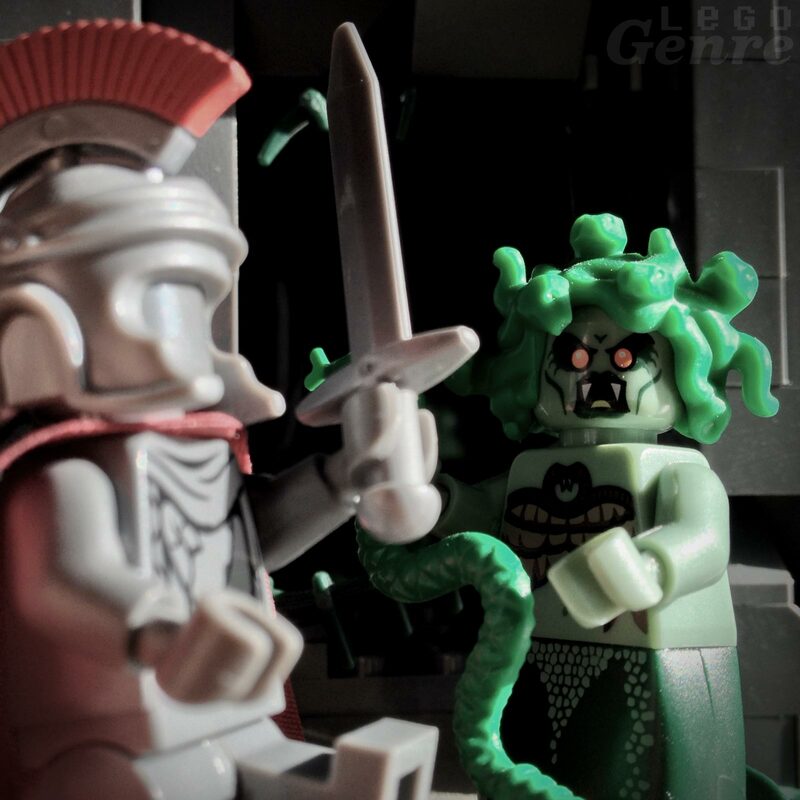 Carl Merriam has created a horrifying Cthulhu Lego MOC. 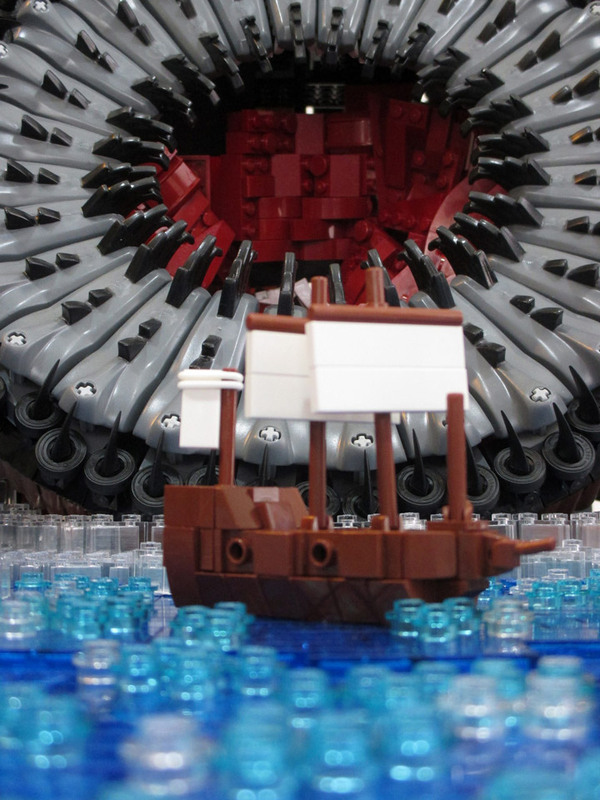 With a whole lot of specialized Lego pieces that one would not normally associate with a build like this. There are Velociraptor pieces, Medusa bodies, and weird tentacle bits. All of these are combined into a huge SNOT style figure. Which is instantly recognizable, and captures the terror of this monster. A lot of the details really stand out. 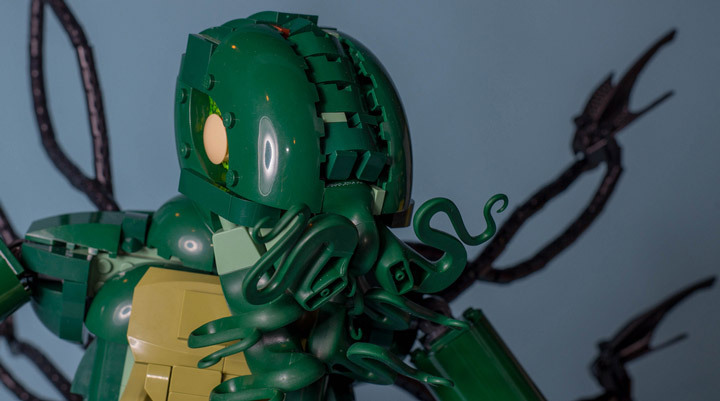 A lot of Lego builds have problems when viewed up close, but this Cthulhu looks even better when zoomed in. Especially the mouth area. 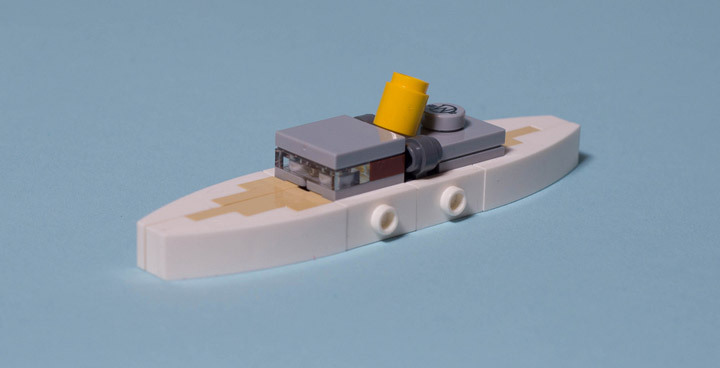 The other stand out detail of “The Madness from the Sea” is the little Lego steam ship. The simplicity is a great contrast to the much more detailed Cthulhu. It also lends a sense of scale to the figure. This thing is supposed to be monstrously big. 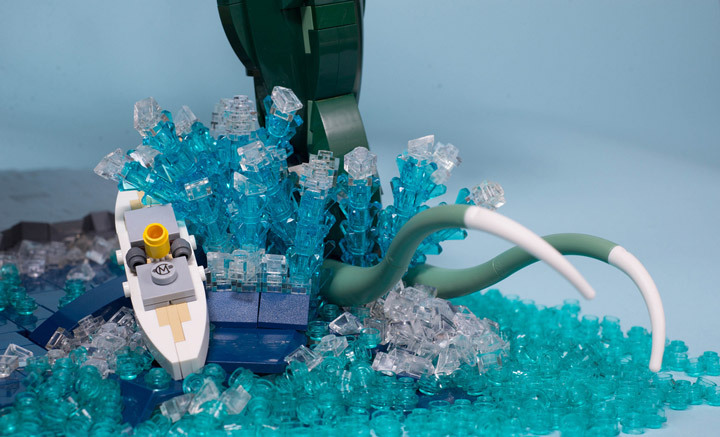 But, best of all is that this little detail adds so much to the story of this MOC.